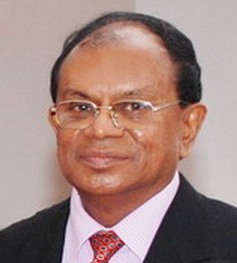 Those who are concerned with political reconciliation and long term peace in the country must thank Prof Rajiva Wijesinha MP (UPFA) for his recent revelations, although those might be construed by the government circles as back stabbing and/or betrayal. Although the revealed documentation, limited to a five point discussion note and three sketchy communications between Wijesinha and Sajin Vas Gunawardane, again a UPFA MP but a monitoring one, does not expose any sensitive information, the narrative as well as the contents amply demonstrate the scant and lackadaisical manner that the most important negotiations with the TNA were conducted after the conclusion of the war in May 2009. It is not clear or revealed that how many rounds of negotiations or discussions were held altogether between the government delegation and the TNA, but by the time Wijesinha had joined the process in April 2011, those can be counted as four since 10 January 2011. It was well known, however, that Wickremanayake was a hardliner even within the SLFP circles on the Tamil question and placing him there to negotiate also amounted to putting him into an embarrassing position in the first place. When I had a personal moment after the formal discussions, he was also expressing his dissatisfaction on the lack of clear guidelines as what to negotiate with the TNA. 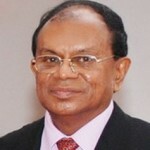 President Chandrika Kumaratunga, for example would not have put him into such an akward position. This is not something he said, but my frank reading of the situation. It was not clear from the outset who was leading the government delegation, while R. Sampanthan was clearly holding that position from the TNA side. Of course Wickremanayake was the most senior and as some newspapers reported, he was leading, and in that case, who was leading or in charge after his resignation? Wjesinha does not give any indication to that effect either. Most importantly, what was Vas Gunawardane’s position? The three email communications quoted reveal that Vas Gunawardane was calling the shots which should not have been the case when Ministers Nimal Siripala de Silva and Prof G. L. Peiris were there with much experience and seniority. On the other hand, there was nothing wrong a person like Vas Gunawardane being the coordinator or the Secretary, but that should have been formally approved or known at least within the negotiating team. Therefore, it is entirely correct for Wijesinha to place the onus for the failure of the negotiations, on the part of the government, largely on Vas Gunawardane. (1) the absence of proper internal meetings to deal with the proposals or views emerging from the TNA delegation and (2) lack of minutes taking on the part of the government delegation or the absence of procedure to do so, in view of the TNA taking their own minutes. Having known Prof Wijesinha in several University Grants Commission (UGC) sub-committees, before 2005, I have no hesitation to believe him and also to appreciate him in his methodical manner of dealing with meetings and minutes. However, it is apparent that he was also caught up in the mid-stream where things were going haywire without any direction from the beginning. I believe it was up to the President, in consultation with Mr. Sampanthan as the TNA leader, to put up or agree upon an Agenda and a Procedure for the negotiations for the respective delegations to follow up. If that was done, prior to the commencement of the negotiations in January 2011, then the much complained TNA proposals should not have merged at least in that manner. What Wijesinha apparently had been doing was firefighting. I am not here commenting on the merits or demerits of Wijesinha’s (overlapping) five points that he has apparently put forward for a discussion within the government delegation on the TNA proposals. But it is apparent that those are not pointed or cohesive enough to make any sense for any practical consideration within the context of devolution or political solution/s to the main disagreements. It is surprising why the government and the TNA didn’t anchor their immediate political negotiations on the implementation of the 13th Amendment and this means particularly (1) the holding of the NPC elections and (2) sorting out of the two main contentious issues of land and police powers. The other contentious issue of ‘concurrent list’ could have been postponed through an agreement. If there had been an agreement on the first matter to hold the elections, for example by mid-2011, then there could have been an interim agreement on how to handle the land issues and the police matters particularly in the Northern and the Eastern provinces with immediate effect. There were of course some ‘extra-political matters’ that impinged on politics such as the presence of the military, their administrative role and the places that they were occupying, that should have been sorted out during the negotiations, the failure of which has now enlarged into a rather permanent political problem. What was pathetically absent was an agenda with a priority list that needed to be addressed in the short and the medium term agreed by both delegations. What the communications reveal is not only the chaotic nature of the government negotiations but also the bad blood between the government negotiators. In terms of proposals, the government delegation has not always put forward a joint view it seems. By early May, first the proposal for a Senate had taken prominence, but then Wijesinha complains that “instead of taking that discussion further, “G L Pieris, at the next meeting, produced suggestions about Local Government.” This is also after informing Wijesinha that he should not suggest anything new! It must have been the case that Wijesinha was bit of chaotic or individualistic in his dealings. However, what was good for the goose should have been good for the gander. Most revealing is the dealings with the TNA delegation. It appears that the idea of a Senate was placed for discussion by Wijesinha first (29 April), although it was originally an idea of the President himself. Wijesinha was told however, obviously by others, ‘it should not figure too large.’ Then he jumped the gun, by sending a draft to Sumanthiran, mandated by the others as he claims. Then came the other proposal sent to the TNA and the ‘Leak’ to the press, this time apparently by Vas Gunawardane himself, giving three options for a Senate’s composition on which the Daily Mirror obviously had a field day on the issue. It was apparently a different version to Wijesinha’s even without his knowledge as a member of the delegation. It is most important for public discussion if Prof Wijesinha also could reveal his proposal and the entire communication to Mr. Sumanthiran. I am publicly requesting this revelation or ‘leak’ not because I consider a Senate is such an important element in a political solution, but to understand what was in fact going on between the two delegations during (another) failed negotiations in 2011. To make a preliminary conclusion from the information that we have so far on the government-TNA negotiations, primarily revealed by Wijesinha, it appears that it is another classic case of how not to negotiate, at least on the part of the government.